Cherupayar thoran recipe Kerala style uses whole green grams or mung beans with green skin, along with grated coconut and few spices as the main ingredients. 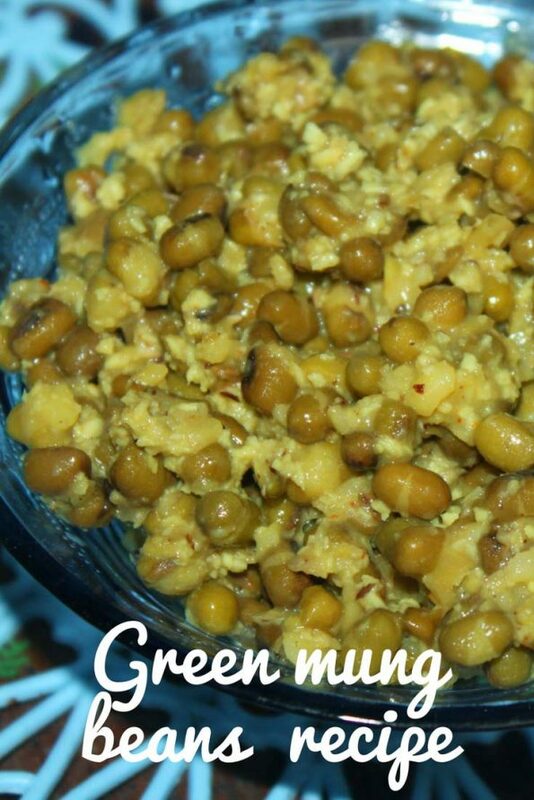 Green mung beans or green grams also known as cherupayar or pachai payar in South India, is cooked with coconut and spices to enjoy as a simple, traditional side dish with rice or rice soup (kanji) in Kerala. Green grams also known as mung beans or moong dal or mung beans in India is known by the name cherupayar in Kerala, and they are healthy legumes. Cherupayar thoran is a popular side dish in Kerala where it is usually served with kanji or rice soup, and the combination is known as kanjiyum payarum, which is healthy as well as tasty. This is cooked green mung beans with coconut and spices which is a dish you can enjoy with rice and it comes without gravy. As I mentioned in my previous posts, it is always easy to cook legumes (including green grams for this recipe) in pressure cooker. However, I am showing you here how to cook this cherupayar thoran recipe or mung bean recipe with coconut on stove top without using a pressure cooker, but using just a pan or pot. 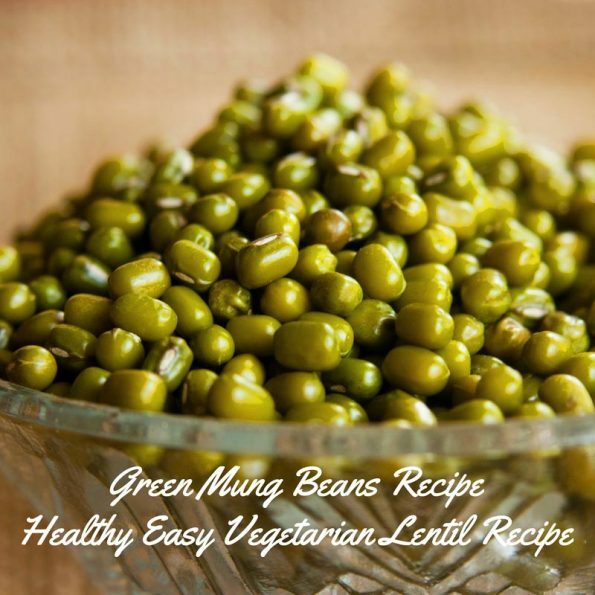 Not all legumes can be cooked this easy without pressure cooker, however, you can cook green mung beans in a pot or pan relatively easy. These are whole, green colored seeds, which can be cooked in a variety of ways. Green grams are healthy vegetarian sources of protein, fiber and other nutrients too. 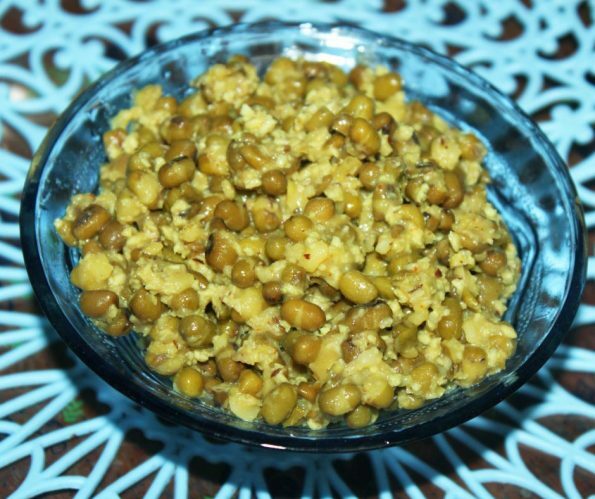 Green gram recipes are also very tasty and it will be great to include them in your daily diet. 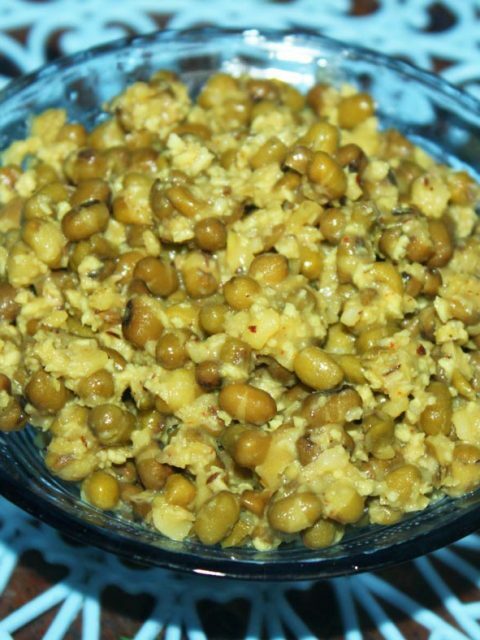 As I mentioned above, green gram or moong dal with grated coconut is a popular side dish in Kerala, where it is popularly known as cherupayar thoran. You only need very few ingredients to prepare this dish, which can be served along with rice and breads, or you can have them as it is! The ratio of green grams to water is important. You may use 1:3 ratio (1 cup of mung beans: 3 Cups of water) for this dry recipe where no gravy is needed. However, we are cooking on stove top in a pot or pan and in case if you think the water is evaporated before the mung beans cooked until soft, feel free to add more water, only little by little, until the mung beans is completely cooked. On the contrary, if the mung beans get cooked while there is still water left in the pan, you may need to drain off the excess water or else the mung beans will get overcooked and become soggy and too mushy. So here is the recipe for cherupayar thoran recipe Kerala style following this easy cherupayar thoran recipe without pressure cooker. Cherupayar thoran is South Indian Kerala style green mung bean with coconut and spices which makes a very delicious and healthy vegetarian/vegan side dish with rice for lunch or dinner. Wash the green grams thoroughly and add them to a pan. Add the water. Heat the pan.Once the water starts boiling, reduce the heat, close the pan and cook in low flames for about 10 to 15 minutes. Open the pan and see if the green grams are cooked. Cooking time may slightly vary. Once the green grams are almost cooked, you can add grated coconut and turmeric and also the chopped garlic to it. Stir well and close the pan and cook for another five minutes. Open the pan and see if the water is fully evaporated, if not keep the pan opened and wait for few more minutes till all the water evaporates. Once the water has completely evaporated and the green grams are very well cooked, you can stir well and remove the pan from the stove. Serve hot with rice for lunch or dinner or this can be used for puttu (a popular Kerala breakfast) or any bread as you wish! Alternatively you can use a pressure cooker to make the preparation more easy. If you are using the pressure cooker, you can directly add all the ingredients to the cooker along with water and wait for 1 whistle or about 7 minutes in medium heat. Once the pressure cooker is cool, you can open and see if all the water is evaporated and the green grams are cooked well. If not, you can keep the cooker open and cook for few more minutes till all the water is evaporated and the legumes are cooked enough. Traditionally, the grated coconuts along with chopped garlic and turmeric is mixed in a blender for few seconds, so that it will blend more with the dish. I just added the ingredients directly to the dish, since that is more easier to do. You can also try adding other spices like fennel seeds and red chili flakes or chopped green chili peppers along with turmeric and grated coconut to make it more flavorful! You can also add the seasoning to the prepared cherupayar thoran if you like. To prepare the seasoning, heat oil in a pan, preferably coconut oil or sesame oil, and then add mustard seeds. When the mustard seeds splutter, you can also add red chili peppers and curry leaves to the oil. Add the hot seasoning to the top of the dish and mix gently.